The Hubble Space Telescope's new equipment, including the Wide Field Camera 3, provide even better images of the heavens. The Hubble Space Telescope demonstrated its newly enhanced capabilities with this stunning image of the Butterfly nebula. In May astronauts docked the space shuttle Atlantis onto the 19-year-old telescope to make repairs and add new instruments. For astrophotography buffs, the most important upgrade is Wide Field Camera 3 (WFC3), whose predecessor captured many of Hubble’s iconic images, including the Pillars of Creation in the Eagle nebula. The latest version boasts higher resolution and an expanded field of view. This WFC3 shot captures strands of superheated gas that were expelled by a dying star almost 4,000 light-years away. The Butterfly nebula’s distinctive shape results from a ring of dust that prevents the gas from spreading uniformly in all directions. Its wings stretch more than two light-years across—equivalent to about half the distance between our sun and the nearest star. 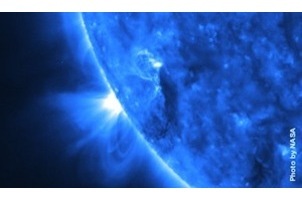 See Bad Astronomy's Top 10 Astronomy Pictures of 2009. Did NASA Find a New Kind of Super-Powerful Cosmic Blast?